Teenage gambling can impact a teens entire life. Sometimes there’s a history of gambling in the family. In this case they may be modeling the adult’s behavior. It all starts with money, but money is not the primary reason that they’ll gamble. There may also be peer pressure to join the group. There are many conflicts in the teenage years. They may have low self esteem and winning and being part of the action can get them the attention that they crave. But regardless of why, the negative effects of teenage gambling impact: school, relationships with friends and family, legal and financial problems. This is similar to drug and alcohol addiction, but with gambling, there are no outward signs..
Because problem gambling can start innocently – a lottery ticket, bingo, sports betting etc – we can easily forget that gambling is illegal for anyone under age. 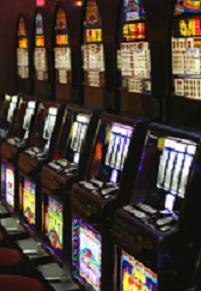 Teach the difference between recreational gambling and problem gambling. Find out how your teens spend their time. When a betting game is over does the teen want to play more? If a problem exists, don’t ignore it. Talk about it as a family – not everyone who gambles becomes a problem gambler – but kids should be aware that addiction is not only just for adults. More on the negative effects of gambling.. Think you're not a gambler? Take a test. Are you enabling a gambler?